Created in 1936, Coastal Command was a formation within the RAF, similar to ‘Fighter Command’ or ‘Bomber Command’. But despite the crucial role played by Coastal Command in WW2, it isn’t anything like as well known as the other two. This led its members to describe it as the ‘Cinderella Service’. Being an island, the UK’s seaways are, in many ways, its lifeblood. The protection of friendly shipping and the destruction of the enemy’s vessels was vital. RAF Langham’s position close to the North Sea and to northern Europe placed it in the thick of the action. Group HQ had the task of coordinating activity in their area day and night. Their precious aircraft and crews had to be used as effectively as possible. Co-ordination between squadrons and the Royal Navy on the sea below made good communications a matter of life and death. 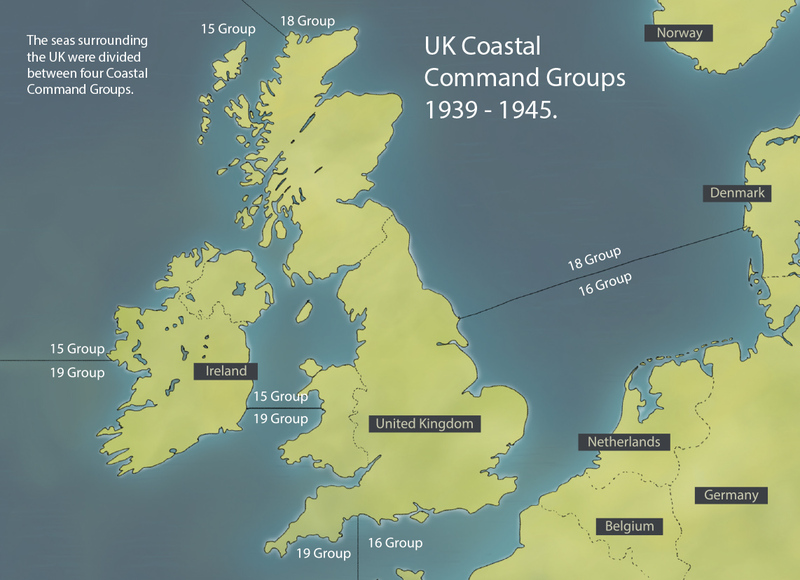 Coastal Command was divided into a series of Groups covering geographical areas surrounding the UK and abroad, with specific roles and responsibilities. Dependent on their location, RAF Stations became part of a particular Group – in RAF Langham’s case – 16 Group, Coastal Command. Individual stations were then sub-divided into Wings made up of two or more operational and/or administrative squadrons, either flying or in ground-support. Active along the coasts of Norway, Denmark, north Germany and the Netherlands, the tasks of the 16 Group squadrons ebbed and flowed with the tide of the war. Targets ranged from ships carrying iron ore from neutral Sweden for enemy industry, to convoys bringing supplies to enemy troops. As well as the ever-present coastal threat, ‘E’ boats – and even ‘U’ boats, where they could be found. Chief among 16 Group’s tasks were attacks on enemy merchant shipping and naval vessels, air – sea rescue (including use of airborne lifeboats) and weather recording by specialist meteorology squadrons and flights. 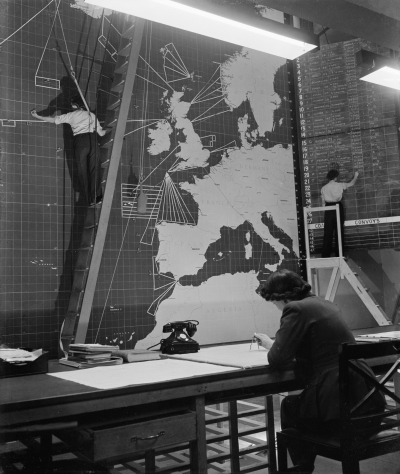 Image: The interior of the Operations Room at Coastal Command Headquarters at Eastbury Park, Northwood, Middlesex. © IWM (CH 13363). 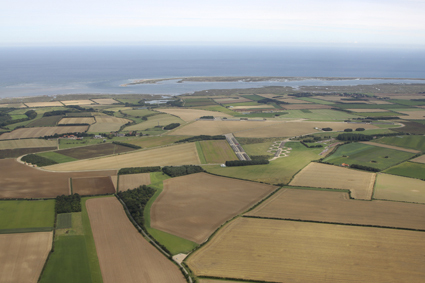 Image: RAF Langham's position close to the North Sea is clearly evident when seen from the air. © John Allan.